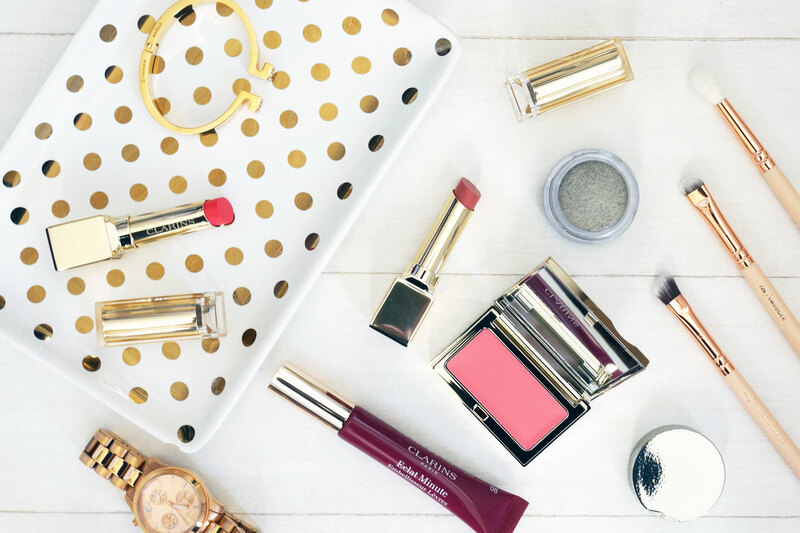 Clarins have recently announced the launch of their new Instant Glow Spring Make-up Collection – and as expected, it includes a gorgeous range of products, perfect for the winter to spring transition. Clarins wants women to glow with confidence this spring. Emerging from the cold winter nights, comes a collection that will brighten eyes with flattering iridescent shades, add a flush of rose to icy cheeks and a swipe of colour and gloss to chapped lips. Indulge in the radiant and blossoming shades of this Instant Glow collection. 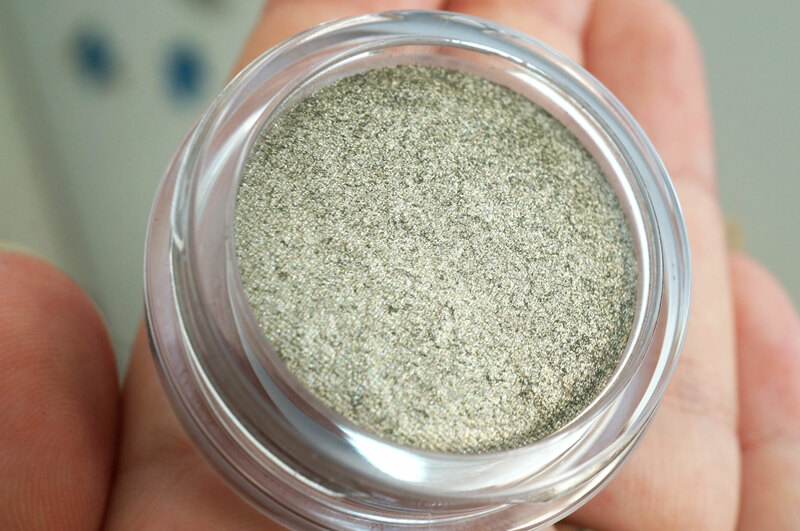 The Cream to Powder Ombre Iridescent Eyeshadow in 06 Silver Green (£19.00) is just stunning. I already have a few of the Ombre Iridiscent Eyeshadows and they never fail to impress me. I love the beautiful cream-to-powder formula that glides on the lid with ease, and they each have a gorgeous light shimmer too. Silver Green is one of four new shades in this range, including Silver Ivory, Silver Pink, Silver Green and Silver Plum. 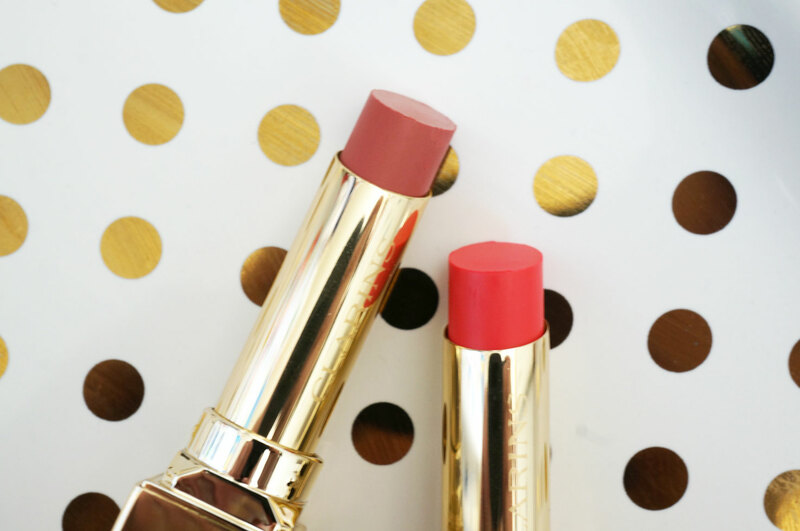 The Cream Multi-Blush in 05 Rose (£18.50) is definitely another winner from this collection. 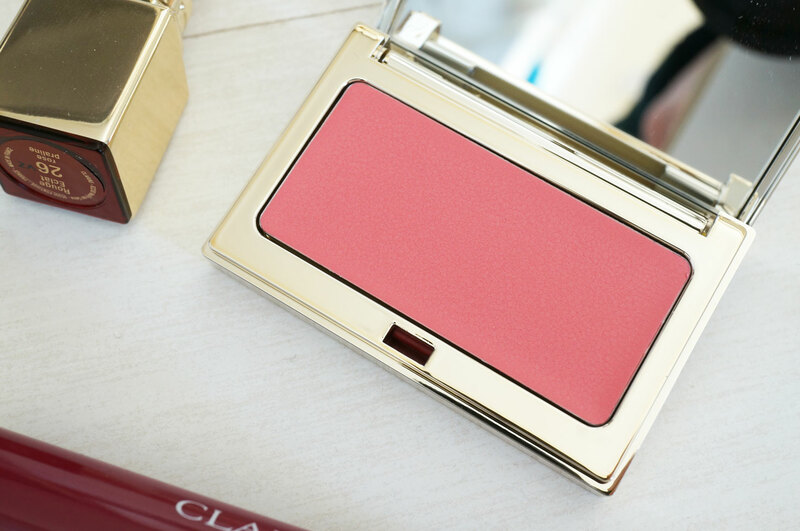 This dinky little blush is small but perfectly formed, with a lightweight cream formula that’s a dream to work with. Shade 05 Rose is a pretty coral pink shade that works wonderfully well on my fair complexion to give a lovely flush of colour to the cheeks. Clarins have also brought out four new shades of their popular Rouge Eclat Age-Defying Lipstick (£19.50) The Instant Glow collection includes: Hot Rose, Pink Blossom, Pink Cherry and Rose Praline. I have Rose Praline (above left) which is a beautiful muted rose shade, and Hot Rose, which is a bright and intense coral pink. And lastly the Instant Light Natural Lip Perfector (£18) comes in two new shades for this collection – Toffee Pink Shimmer and Plum Shimmer. I have Plum Shimmer, which is a beautiful mid plum shade that smells of sweet vanilla. 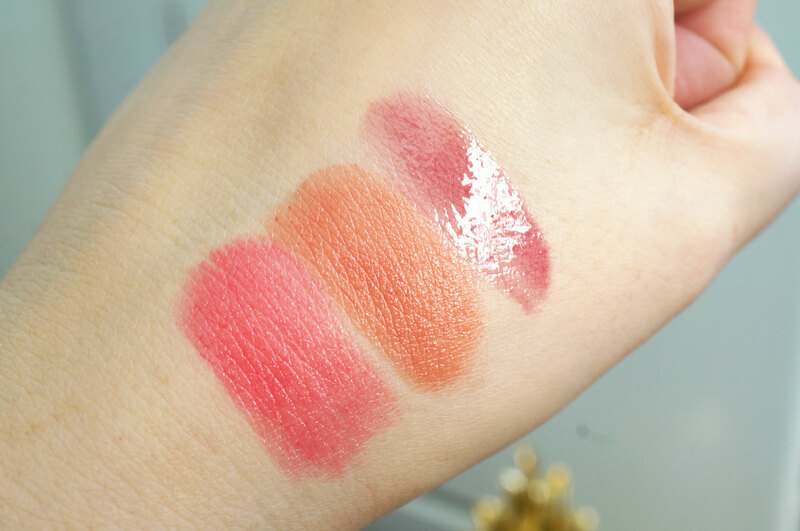 You can see the lipsticks give a gorgeous semi-sheer, balmy finish. They feel moisturising on the lips and last a good couple of hours before you need to re-apply, and the Instant Light Natural Lip Perfector gives a sheer glossy finish with a hint of colour. The collection also includes a Limited Edition Natural Glow 5-Colour Eye Shadow Palette (£33.00) – which I unfortunately don’t have. It looks like a beautiful wearable palette though so I wanted to mention it too! 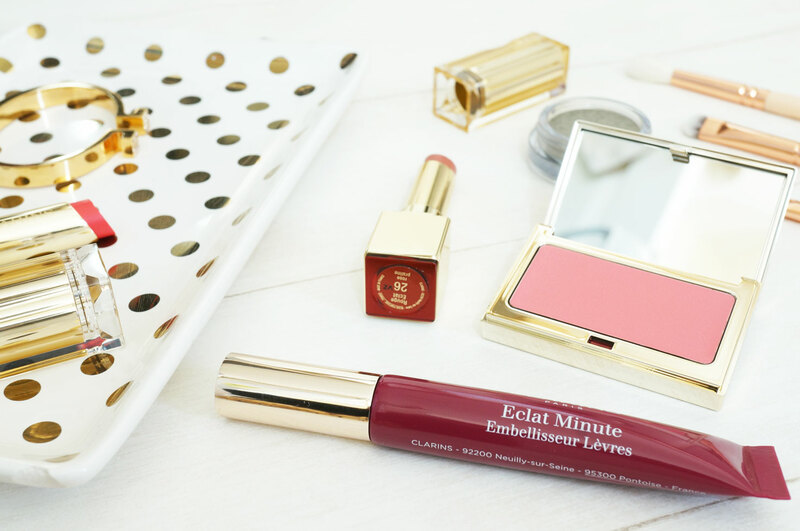 I’m beyond impressed with all of these products, Clarins have been one of my favourite brands for makeup for a long time, and they just continue to bring out fantastic, easy to use, and very wearable products, the Instant Glow collection is definitely worth checking out! 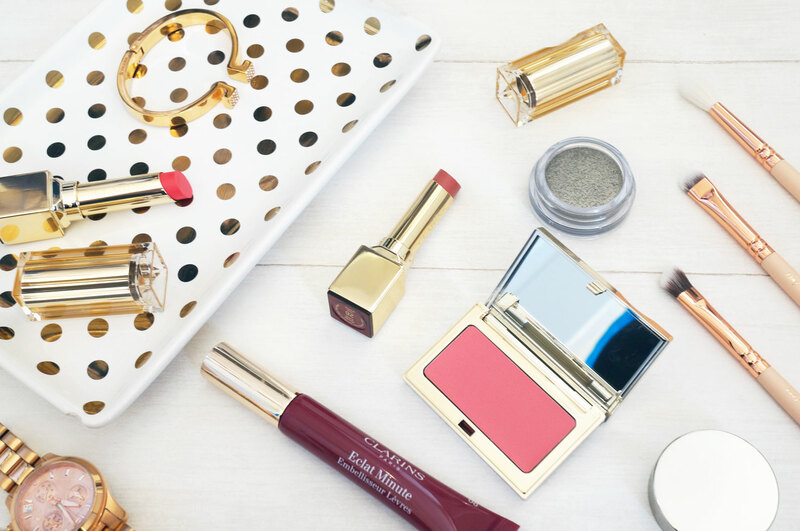 The Instant Glow Spring Makeup Collection is available now from Clarins.